Consumerism is everywhere. Shopping malls are part of all cities and for so many people those are a nice place to spend a Saturday afternoon with friends or family. People are consuming and consuming and mostly not even noticing that there is a total overconsumption happening. A first important step is to start noticing. Ask yourself what you just bought and if you really need this product? We can guarantee you that most of the time it is not necessary to buy this item. Still, people love to consume and nowadays there are so many wonderful green products. And it is totally okay to buy such products, right? After all, they are green – which often means that they are not produced out of harmful materials and were manufactured under good working conditions. We really like green products BUT we think it is quite dangerous to continue consuming without really thinking about whether you need the product or not. Even if a product is green it does not mean that you can consume endlessly. The so-called sufficiency strategy describes a conscious awareness about the need to buy something or not. “Do you really need this product?” is a popular question linked with the sufficiency strategy and you can start asking yourself this question every once in a while. This basically means that first of all, you should think about the need for a product. If you then are really convinced that you do need it, think about green, environmentally friendly alternatives. For us, the sufficiency strategy was quite important since we do not want to drive consumerism. 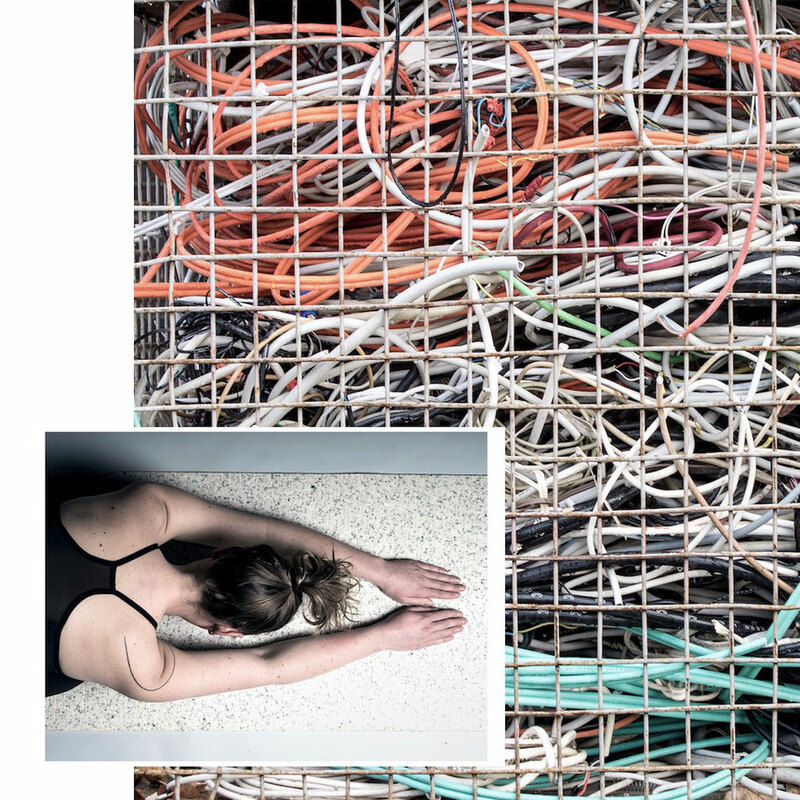 We simply want to produce a good yoga mat in Germany. Since both of us were in the situation of really needing a new yoga mat, we started to search for a good yoga mat in Germany. However, we did not find one which fulfilled our sustainability expectations so we decided to create a good yoga mat in Germany on our own. 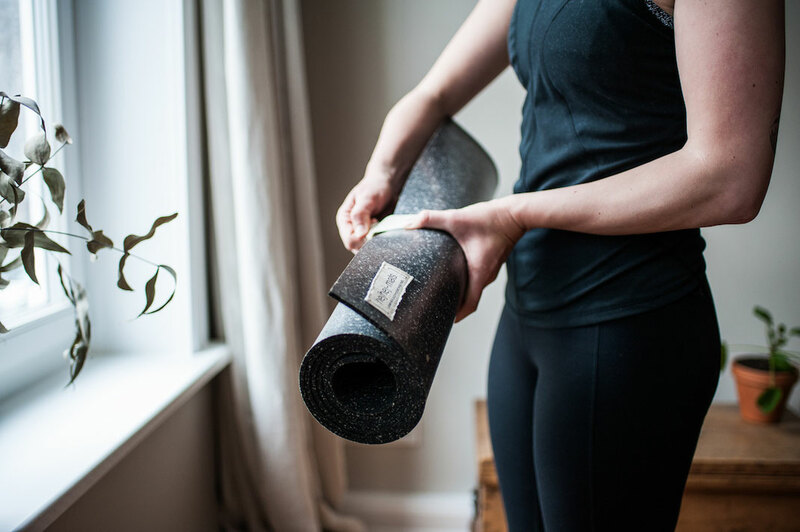 With hejhej-mats we do not want to encourage people to simply buy our mats because they are pretty but we want to offer a sustainable yoga mat for all of those people who need a new one and thereby drive a more conscious way of consuming. Yoga mats are in general quite long enduring products. Since our mats are manufactured in Germany with really good materials and resources, we can guarantee you a really high-quality product which means that you can use your hejhej-mat for a really long period of time. We like the sufficiency strategy as well as the approach of the circular economy and we believe that with a combination of both, we can reduce overconsumption and foster sustainable development. The circular economy is about closed production circles, about recycling products at the end of their lifespan but also about not taking new resources for the production but about using what is already existing on the planet. The overconsumption in general and in particular the overconsumption of natural resources for green products needs to be cut. Both with the help of the sufficiency strategy and thereby with saying no to products as well as with the help of the circular economy and with innovatively designed and recycled products. By producing a good yoga mat in Germany, we try to integrate both concepts into our business and to simply make the planet at least a little bit more sustainable.